The Kenya Property Developers Association was established in Nairobi in 2006, to represent stakeholders in property development in Kenya. The association has 138 members. With the national focus on affordable housing, the KPDA has formed an Affordable Housing Task Force to collate member perspectives, and engage with government for policy change. 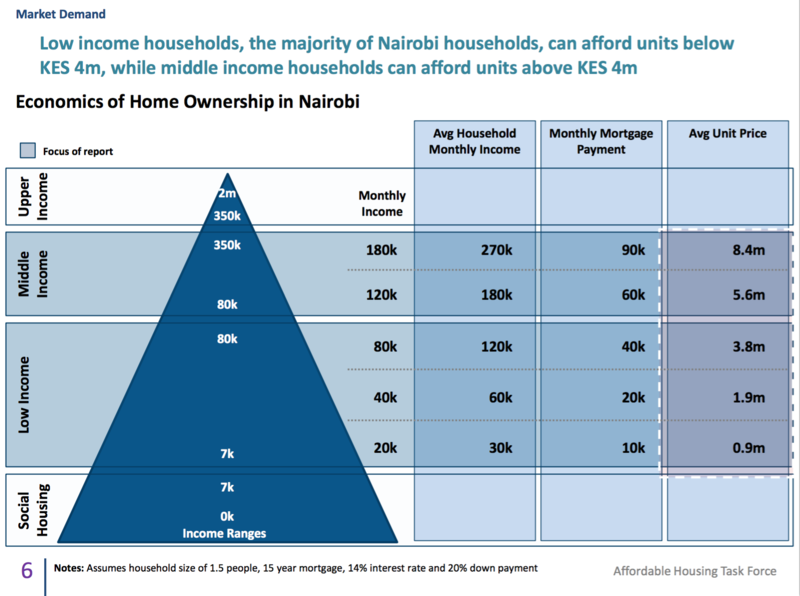 This Industry Report describes the affordable housing real estate sector in Nairobi. It examines the sector growth dynamics, trends, prices, and development stratgies. According to the KPDA’s Affordable Housing Task Force, there are many challenges to the delivery of affordable housing, starting with poor urban planning and the failure of municipalities to service land, leaving it to developers who then add this to the purchase price. High costs of construction are in part due to Kenya’s very high import duties, poor import logistics, and an unfavourable tax regime. Construction finance has become increasingly limited since the introduction of the interest rate caps, and mortgage finance remains both unaffordable and inaccessible. A key constraint relates to the inefficient titling process, which, according to the World Bank’s Doing Business survey for 2018, involves nine steps and takes 61 days. High incidental costs result in an additional six percent being added to the cost of the unit, to accommodate stamp duty, legal fees, valuation fees and facilitation fees.